Omuroyama Volcano is one of the largest scoria cones in Japan. 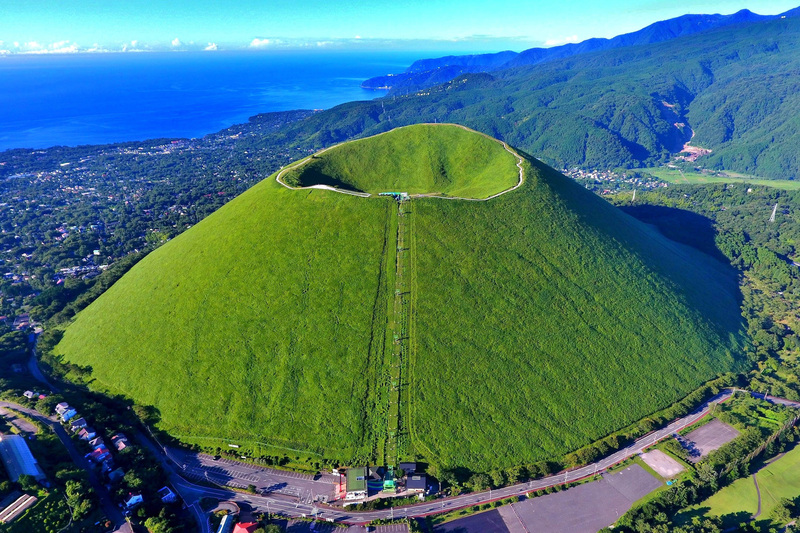 The steep sided mountain is shaped like an upturned rice bowl. 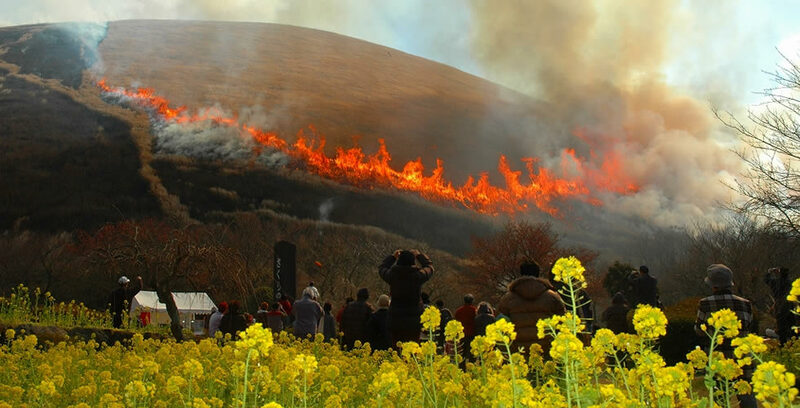 Local people burned the vegetation growing on the mountain periodically. This tradition is around 700 years old, and it has helped maintain the beautiful shape of Omuroyama. The mountain is designated as a natural monument, it is prohibited to climb it on foot. Visitors can take a cable car to the summit and enjoy a great view of the Ito Area, Mt. Fuji and other mountain ranges, as well as the vast expanse of blue waters. Standing on the top of the mountain on a fine day, one can see the diverse pattern of landforms woven by volcanoes of the Izu Tobu Volcano Group and the magnificent sight of Jogasaki created by lava flowing out of Omuroyama Volcano. You can reach the area by taking a bus from JR Ito Station bound for Izu Shaboten Park (Izu Cactus Park) (about 35 minutes). Visitors by car can use the parking lot of the Omuroyama Lift.